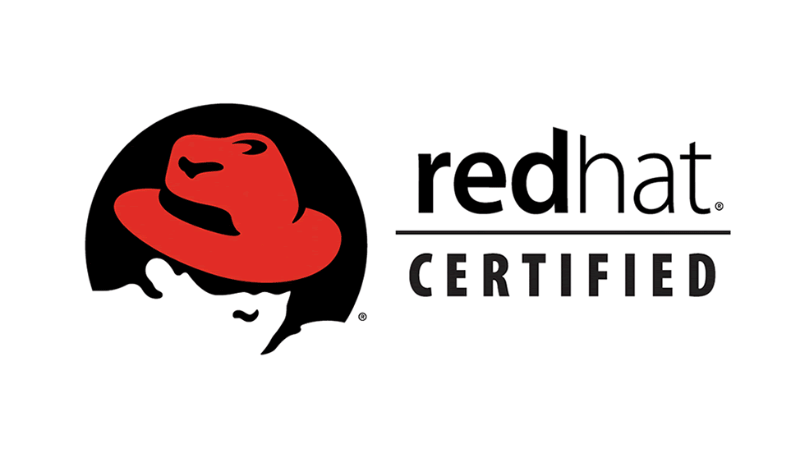 Home » Enterprise » Is there need for Red Hat Certification training in Zimbabwe? Is there need for Red Hat Certification training in Zimbabwe? A local institution is investigating the need to train Systems Administrators/Engineers who use Linux towards Red Hat certifications. The course is targeted at individuals with at least 2 years experience using Linux. Training is for the Red Hat Certified Systems Administrator (RHCSA) and the Red Hat Certified Engineer (RHCE) qualifications. After the training however, the candidates can only take the exams in South Africa (that’s actually the closest place they can do so). These exams are hands on without any multiple choice questions hence the proposed courses will be structured with a hands on approach. If you are an interested Systems Engineer or Systems Administrator, click here and express interest so organisers can measure the demand. How much is the certification & exam? Costing is also part of the feasibility study. You can get hundreds or thousands who want to train, the question is, can they afford it? @Imi Vanhu Musadaro, the price of the training will be shared in due course especially for the individuals who have filled in the express interest form shared by Tinashe. Considering that there are very few Individuals with good Linux skills , it was wiser to take it step by step by starting with a general feasibility study..that way it will be easier to actually work with how many number of people visa vi the feasibility of actually going on forward with the training. Tend to agree with Tinashe. Ubuntu and Debian are far widely used than RH, hence courses offered by the Linux Foundation are more appropriate. Job offers for Ubuntu or Debian far surpass those for RH. The price of RHCE should hint whether someone is trying to make money from offering the training. One thing is for certain, you can never feign Linux skills. You will never go wrong with Red Hat Enterprise Linux. Suse Enterprise Linux also offers hands on exams (CLP), which I am already certified. As a matter of fact, I recommend people going for the RHCSA and RHCE exams. Its not an easy road, but worth it. Sacrifice and go for it. RHCEs are well respected. I don’t work with Linux systems at all, and have never worked on them before. But I’m kind of a junior Linux expert, just for the love of it. I work as an ethical hacker. If you work on Linux systems on a daily basis, don’t hesitate to go for the RHCSA/RHCE exams. Martin Chamambo can assist you. @Charles Muzonzini , the price of the training will be shared in due course especially for the individuals who have filled in the express interest form shared by Tinashe. Considering that there are very few Individuals with good Linux skills , it was wiser to take it step by step by starting with a general feasibility study..that way it will be easier to actually work with how many number of people visa vi the feasibility of actually going on forward with the training. Whats the anticipated dates of the course? What are the anticipated dates of the course? I am a Python programme working in SA and would like to return to Zimbabwe asap. Will i get a job ? Very unlikely. Even if you do, payment is sporadic in most companies. If I were you I’d stay put. Charles were you at St Francis of Assisi High School ? I am a Data Scientist. I am taking home R35 000 every month but would settle for half that in Zimbabwe. I have been in SA for 9 years single and childless and i just miss home. Yes, I was. Form 1 2002. Were you there as well? I can relate to the feeling of missing home. But you have to be prepared for the harsh realities here. It is very likely that you may not find any employment at all. I would advise that you look for a job there that allows you to work remotely then you can return. Otherwise, as indicated by some of the comments many people don’t take python seriously here (out of ignorance of course). All the best! I am impressed by your app. I am past learning. I do not enjoy the process ,never did. In SA there is a huge demand for developers because its not easy I thought the same would be happening in Zimbabwe despite the 90% unemployment rate. SA is a ticking time bomb. I qualify for critical skills visa but the crime in this country is out of hand. Maybe Dubai is an option. Mutero, what sort of projects are you involved in using python? Which companies actually offer Redhat Licensing? Hie @Anonymous , in Zim thats still a market to tap but with Centos being a testpad for Redhat ,most companies are running it in production and very few actually go the licencing route.